The 460th Space Wing is located at Buckley Air Force Base, east of Aurora, Colorado. The 460th delivers global infrared surveillance, provides worldwide missile warning and tracking for homeland defense purposes, and deploys personnel to combatant commanders worldwide. The 460th Space Wing is directed by Air Force Space Command. The wing is divided into three groups: the 460th Operations Group, the 460th Mission Support Group, and the 460th Medical Group. The 460th Operations Group provides missile warning, missile defense, technical intelligence, satellite command and control, and robust aerospace communications. The group operates the Defense Support Program and Space-Based Infrared System (SBIRS) satellites, providing persistent global surveillance, tracking, and targeting. The 460th Mission Support Group provides trained personnel to support the Air Expeditionary Forces and Homeland Defense. Specific capabilities include force protection, human resources management, contracting, and logistics. Since the 460th is the host unit at Buckley AFB, the 460th MSG also maintains the base's infrastructure and environmental controls. The 460th Medical Group supports military readiness to the Air Expeditionary Forces and Homeland Defense missions by ensuring base personnel are medically qualified for deployments. The medical group also provides quick-response services to the Air Expeditionary Forces and the Department of Homeland Security, as well as more traditional health-care services such as optometry, wellness services and dental care. The 460th Space Wing provides national leadership, Unified Combatant Command commanders, troops in theater and intelligence communities information to formulate and adjust defense strategies, deter against growing global threats, and react to impending attacks. Space operators use a network of satellite ground stations around the world to communicate with the SBIRS and DSP spacecraft. SBIRS is to consist of six dedicated satellites operating in geosynchronous earth orbit (GEO), and sensors on two host satellites operating in a highly elliptical orbit (HEO). SBIRS will replace the Defense Support Program satellites and is intended primarily to provide enhanced strategic and theater ballistic missile warning capabilities. The DSP satellites are in geosynchronous orbits, and are equipped with infrared sensors operating through a wide-angle Schmidt camera. The entire satellite spins so that the linear sensor array in the focal plane scans over the earth in a radial pattern. The last DSP satellite was launched in 2007 aboard the first operational flight of the Delta IV Heavy rocket. The 460th Bomb Group flew B-24H Liberators with tails marked in yellow and black, affixed with a black square. Constituted as 460th Bombardment Group (Heavy) in May 1943. Activated on 1 July 1943. 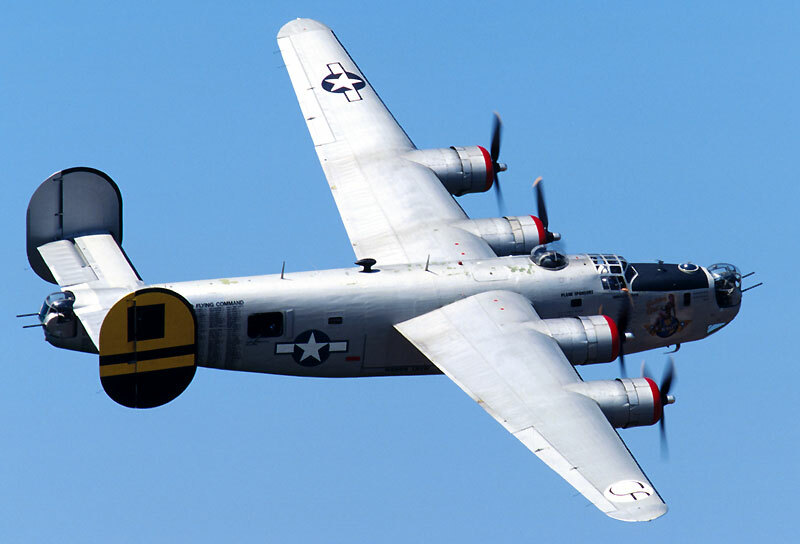 Activated as a B-24 Liberator heavy bombardment unit; assigned to II Bomber Command for training. Primarily trained in New Mexico and Utah. Received deployment orders for the Mediterranean Theater of Operations (MTO) in August 1943. Moved to Georgia and Virginia where the group flew coastal patrol missions over the Southeast, October 1943 – January 1944 while station in Italy was being constructed. Deployed to Southern Italy in January 1944; entered combat in January 1944, being assigned to Fifteenth Air Force 55th Bombardment Wing. Engaged in very long range strategic bombing missions to enemy military, industrial and transportation targets in Italy, France, Germany, Austria, Hungary, Romania, and Yugoslavia, bombing railroad marshalling yards, oil refineries, airdrome installations, heavy industry, and other strategic objectives. The group flew its last World War II combat mission on 26 April 1945. After V-E Day, was assigned to Green Project which was the movement of troops from Europe to the United States via the South Atlantic Transport Route. B-24s were modified with sealed bomb bays, removal of all defensive armament and internal fuselage equipped with seating to carry approximately 30 personnel. Was assigned to Air Transport Command at Waller Field, Trinidad and to Natal, Brazil. Moved personnel from Dakar in French West Africa where personnel were transported across the South Atlantic to Brazil and eventually to Morrison Field, Florida via Trinadad. Provided air transport until the end of September when the unit was inactivated. On 2 February 1966, the 460th Tactical Reconnaissance Wing was activated and entered the Vietnam War. Its headquarters shared the Seventh Air Force Headquarters and the Military Assistance Command Vietnam (MACV). When it stood up, the 460th TRW, alone, was responsible for the entire reconnaissance mission, both visual and electronic reconnaissance, throughout the Southeast Asia (SEA) area of responsibility. On 18 February 1966 the 460th TRW began with 74 aircraft of various types. By the end of June 1966, that number climbed to over 200 aircraft. On 15 October 1966, the 460th TRW assumed host wing responsibilities for Tan Son Nhut Air Base, to include being responsible for all depot-level aircraft maintenance responsibility for all USAF organizations in South Vietnam. During the end of 1966, the 460th TRW and its responsibilities changed. First, on 18 September 1966, the 432d Tactical Reconnaissance Wing was activated at Takhli Royal Thai Air Force Base, Thailand. After the 432d TRW activated it took control of the reconnaissance squadrons in Thailand. With the activation of the 432d TRW, the 460th TRW was no longer responsible for all air reconnaissance missions throughout the SEA area of responsibility. However, the 460th TRW provided the new 432d TRW with continued support in recovering RF-101 and RF-4C aircraft returning from high priority, high interest target missions. Being one of two reconnaissance wings supporting SEA there were few military operations that did not involve the 460th TRW. Not only did the 460th TRW provide electronic and photo reconnaissance, the Wing's electronic capabilities allowed it to provide electronic counter measure support to B-52s returning from striking targets in North Vietnam. The Wing even gave support to the Cambodian military against the North Vietnam and Viet Cong forces, as well as support to US units operating inside Cambodia. As the Vietnamization Improvement and Moderization Program began, Vietnamese crews began flying with EC-47 crews from the 360th TEWS and 6994th SS, on 8 May 1971, to get training on operating the aircraft and its systems. The wing was inactivated in-place on 31 August 1971. On 19 September 1989, the 460th Tactical Reconnaissance Wing redesignated to become the 460th Tactical Reconnaissance Group (TRG). The following month, 1 October 1989, the renamed Group reactivated at Taegu Air Base, South Korea. Behind this activation was Pacific Air Forces's (PACAF) portion of Phase II of an Air Staff programming plan, Commando Flash. Activating the 460th TRG and relocating the 15th Tactical Reconnaissance Squadron with its RF-4C Phantom IIs from Kadena Air Base, Japan to Taegu AB under the 460th TRG accomplished several PACAF objectives. This activation maintained Taegu AB as a main operating base, allowed the RF-4C crews to train in their actual wartime operating area, placed reconnaissance aircraft near North Korea, and reduced the TDY costs for PACAF. Upon its activation, the 460th TRG reported directly to 7th Air Force. During its time at Taegu AB, the Group participated in several local and PACAF exercises designed to maintain the readiness of US forces stationed around the Korean demilitarized zone and other units designated as support units should North Korea invade South Korea again. A year later, 1 October 1990, the 460th TRG was inactivated along with the 15th TRS. Some of the Group's subordinate units remained active after the Group's inactivation. The 460th Consolidated Aircraft Maintenance Squadron remained active until 15 October 1990. On 1 July 1991, the 460th Combat Support Squadron finally inactivated. On 1 October 2000, the United States Air Force assumed control of the former Buckley Air National Guard Base and assigned it to the 821st Space Group to oversee its operations. On 1 October 2001, the 460th Air Base Wing was reactivated to assume installation support responsibilities for Buckley AFB in Aurora, Colorado. Under the 460th's command, the base underwent an extensive modernization program to improve the base's support facilities. The 460th oversaw construction of one of the largest DeCA base commissary and AAFES base exchange complexes in the Air Force, as well as a fitness center, dorms, and other housing areas for Buckley Airmen. On 19 August 2004, the wing was redesignated as the 460th Space Wing. The 460th SW assumed command of the base's satellite missile warning mission from the 21st Space Wing, while retaining installation host and support functions. Today, the 460th delivers global infrared surveillance, tracking and missile warning for theater and homeland defense and provides combat commanders with expeditionary warrior Airmen. 6461st Tactical Reconnaissance Squadron: 29 July – 18 September 1966. During its relatively short active-duty time, the 460th has been awarded numerous times for its effort. The 460th has received the Distinguished Unit Citation, four Presidential Unit Citations, five Air Force Outstanding Unit Awards (2 with Combat "V" device). These esteemed decorations came from direct service in twenty-two different campaigns during World War II, Vietnam, the Cold War, and during operations in the support of the Global War on Terror. The 460th Heavy Bombardment Group earned a Distinguished Unit Citation for leading the 55th Bomb Wing through adverse weather and heavy enemy fire to attack an airfield and aircraft facilities in Zwolfaxing, Austria, on 26 July 1944. The group also flew some interdiction and support missions and supported the invasion of southern France in August 1944 by raiding submarine pens, marshalling yards and gun positions in the assault area. It struck bridges, viaducts, ammunition dumps, railroads and other targets to aid the advance of Allied forces in northern Italy. ^ a b c d e f g h Robertson, Patsy (28 December 2007). "Factsheet 460 Space Wing (AFSPC)". Air Force Historical Research Agency. Retrieved 22 November 2016. ^ a b c d e f "Buckley AFB 460th Space Wing Fact Sheet". Archived from the original on 29 June 2007. Retrieved 8 October 2008. ^ "Welcome to Buckley Air Force Base". Archived from the original on 23 June 2008. Retrieved 8 October 2008. ^ Martin Rosenkranz. "The 15th US Army Air Force in July 1944". Retrieved 7 October 2008. ^ a b "History of Buckley Air Force Base". Archived from the original on 12 February 2008. Retrieved 13 October 2008.